Two weeks until we all (hopefully) meet in New Orleans at TC18. Time to sharpen up our dataviz act. 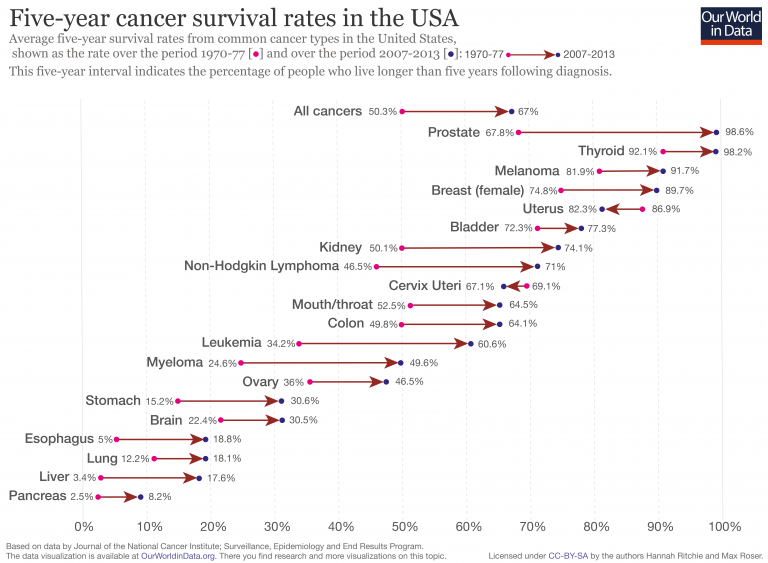 This week we’re looking at Cancer Survival Rates. Seems like a sad topic at first, but it’s about survival, not death, so hopefully things are moving in the right direction. To me, pancreatic cancer stood out. It has the absolute lowest survival rates of them all and while they improved over time, they’re still very very low.